10 min haircut? a sign of busy city life or just a business gimmick? 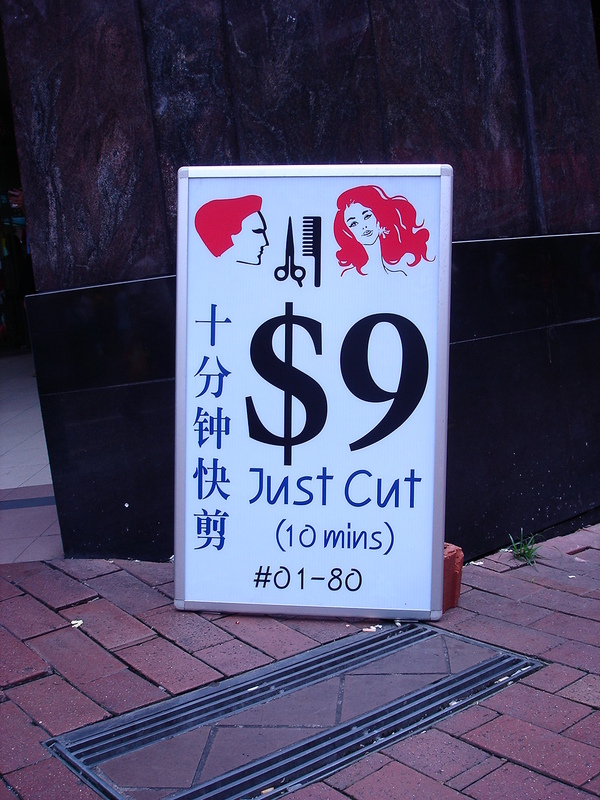 this quickie snip business had been pioneered by a japanese expat here and i am sure this is just a copy cat version of it. the real mccoy cost $1 more at $10 and can be found in modern mall in the city. for the busy and forgetful driver! mall basement carparks are so caverneous nowadays i usually snap the parking lot number with my handphone camera before taking the lift up. 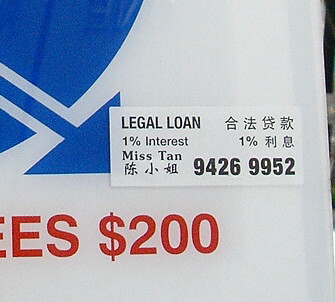 if you cannot afford the $200 fine, you can always call miss tan for a quick loan. opportunistic & smart advertising? underground italian joint? 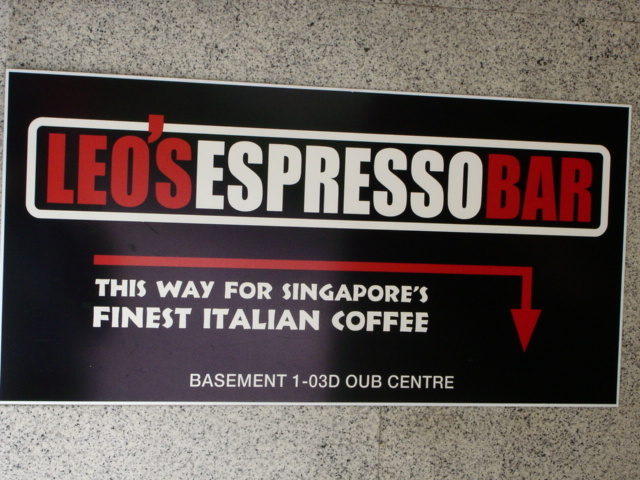 if you are observant, you will notice that all mafia joint in the movie operates out of cafe or kopi tiam. by the same logic, this joint could be operated by the globalising mafia. 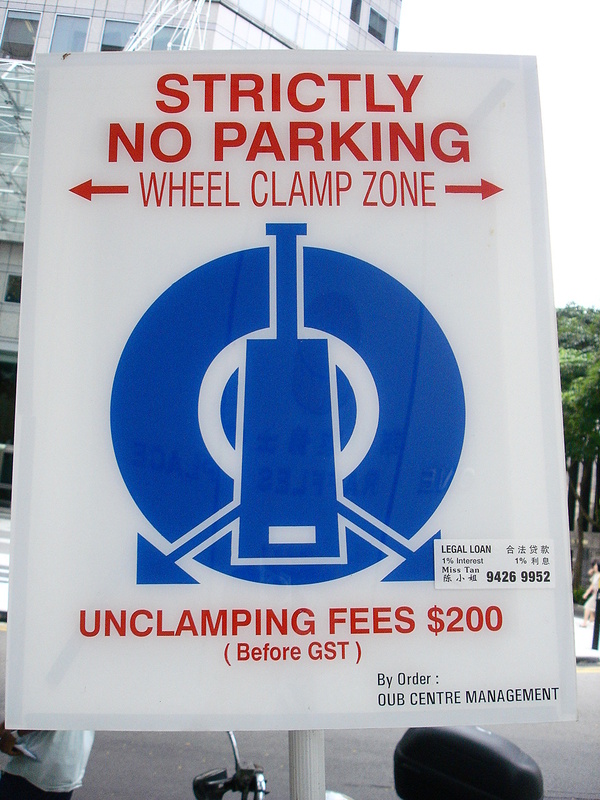 this sign was found 10 m from the loan shark sign above. a coincidental or product of an over imaginative mind? where is this place? Mall? Which mall? 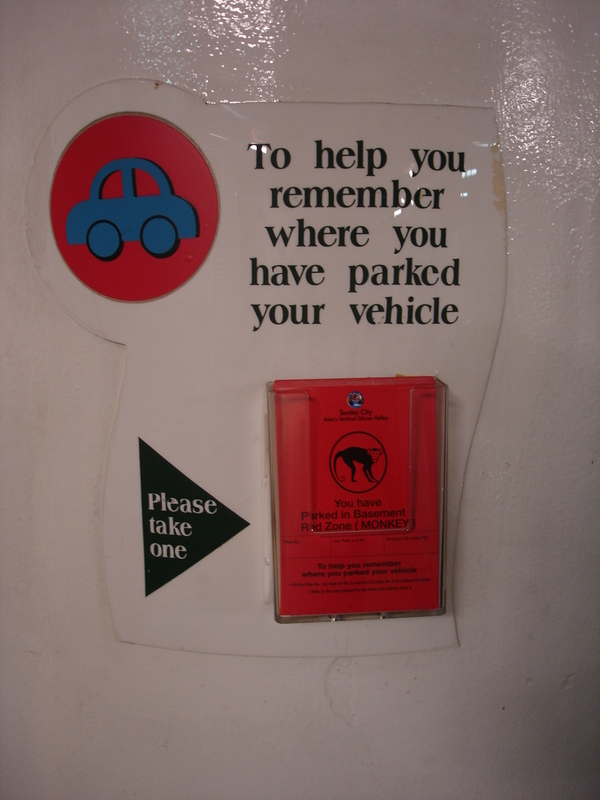 but if u r so forgetful, u’ll forget to erase the previous photos of car park locations…..and mix up which is the most recent. keke. 4f: insurance only. dont forget pipit got helicopter view ma!! You think too much already! !